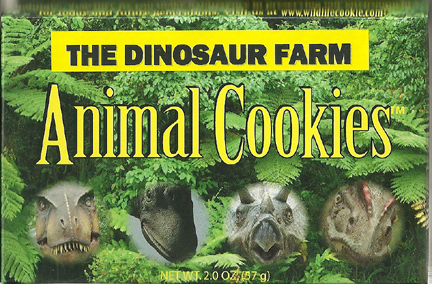 These are yummy animal crackers done as dinosaur crackers! The packaging is fantastic (this pic doesn’t do it justice)and those cookies taste great (take my word for it). They are made in the USA and on the back there are great illustrations and “Dinosaur Fun Facts” such as: “Gallimimus were considered one of the fastest dinosaurs, traveling about 35 miles per hours.” Wasn’t that fun? Tags: animal, cookies, crackers, food.